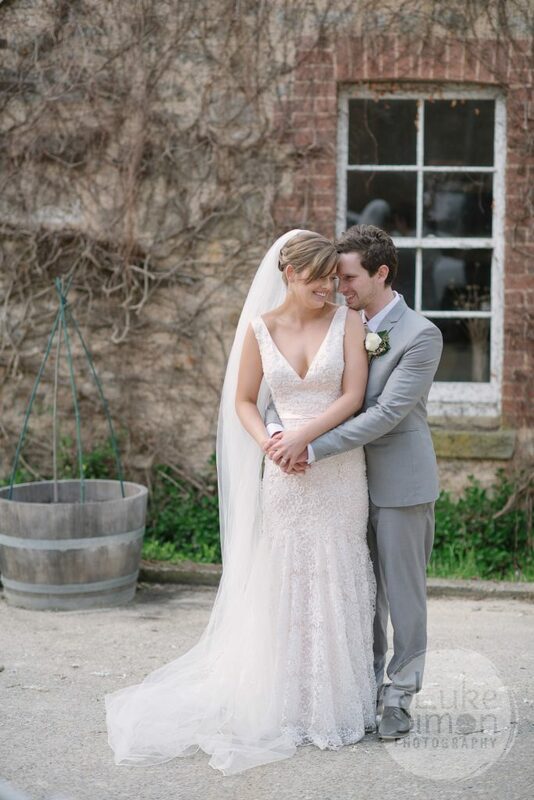 Emma and Matt were married on a winter’s day in August at the beautiful Glen Ewin Estate. This is a venue that is gorgeous no matter what the time of year. Thank you to Luke Simon Photography for these stunning images of the day. 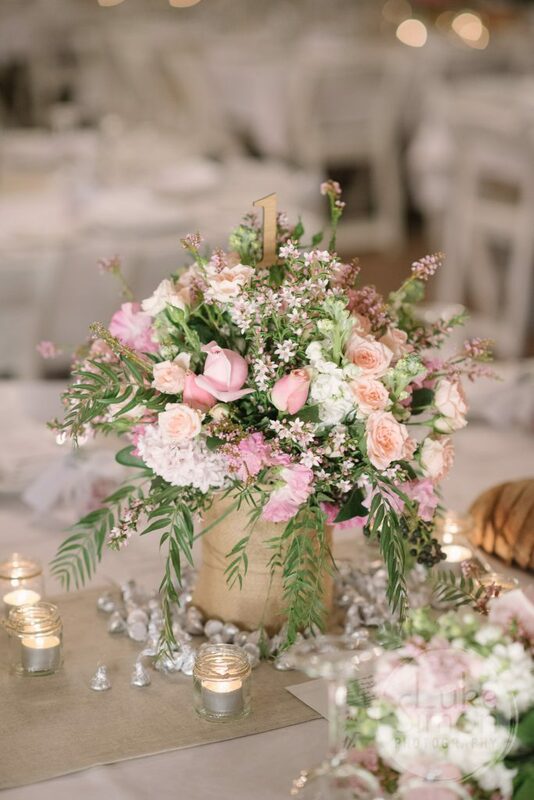 Emma wanted garden inspired blooms to suit the style and theme of her wedding. 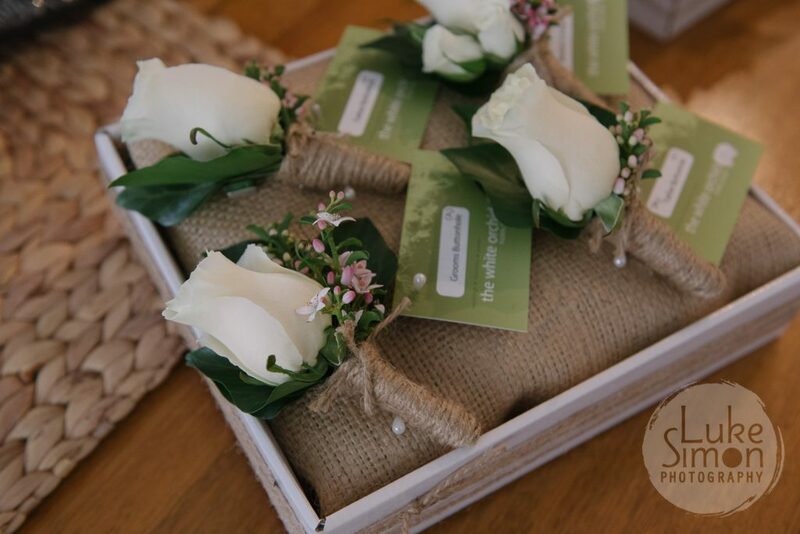 Rose buttonholes were given this garden rustic look with the inclusion of little garden accents flowers and twine to finish. GARDEN buttonholes of roses framed with accent flower and ivy berry leaf, finished with twine. Image by Luke Simon Photography. The brides GARDEN style bouquet was a divine mix of seasonal winter blooms including some of my favourites, stocks and sweet peas. 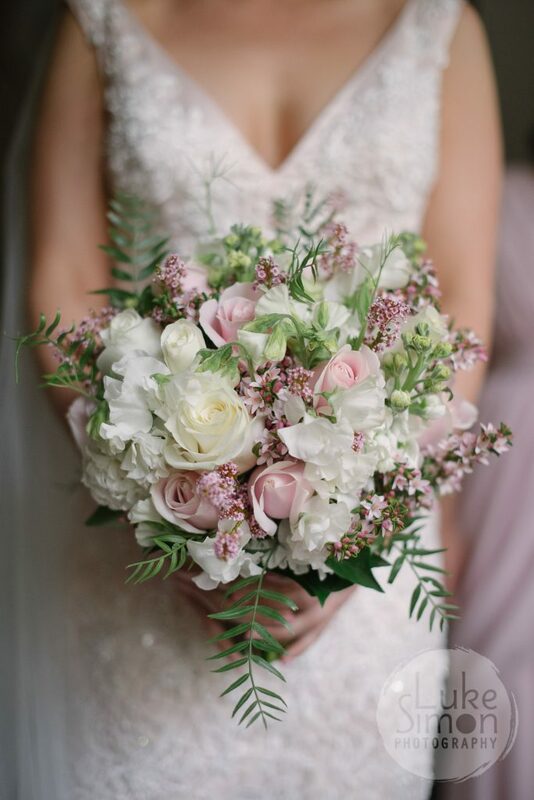 I love the textures that we were able to create in this bouquet. 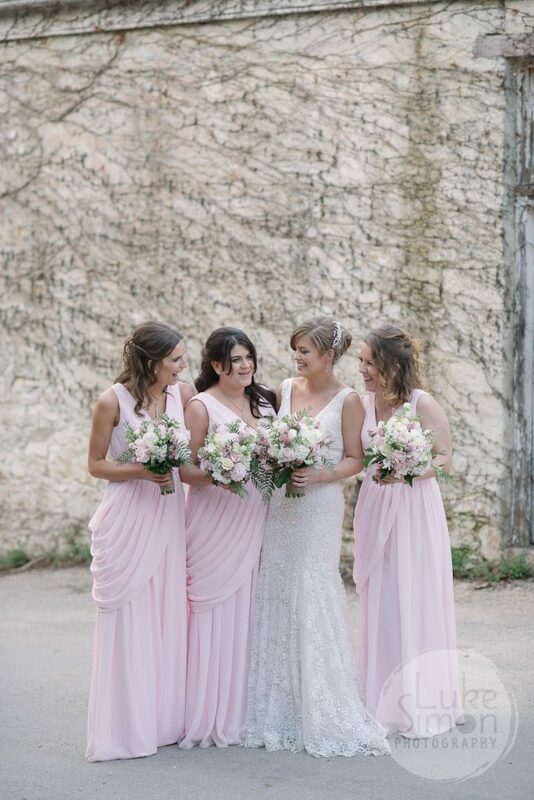 Emma’s bridesmaids wore a lovely pale pink dress colour and this was complemented beautifully with the mix of pale pink and white blooms. 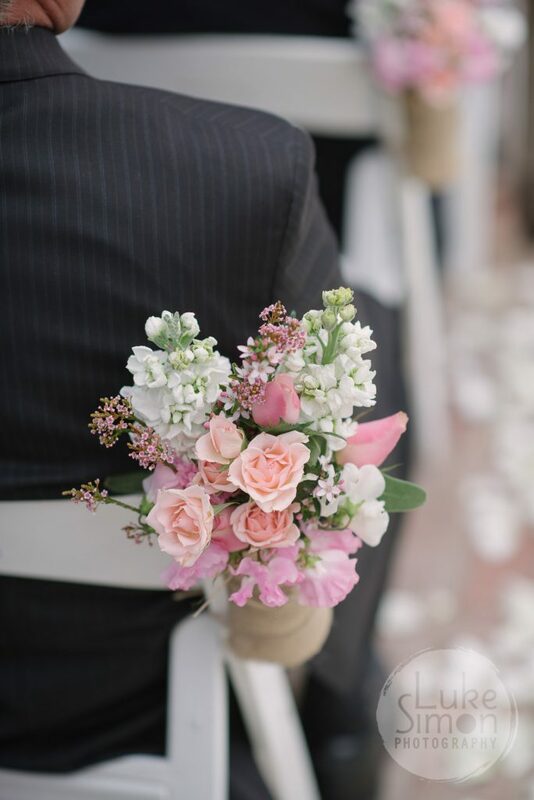 The aisle posies were created using a similar mix of flowers but with a little more colour so they would stand out as a feature at the ceremony. How cute is this adorable page boy! He did a fantastic job walking down the aisle holding the bridesmaids hand and a little Thomas the Tank Engine in the other. 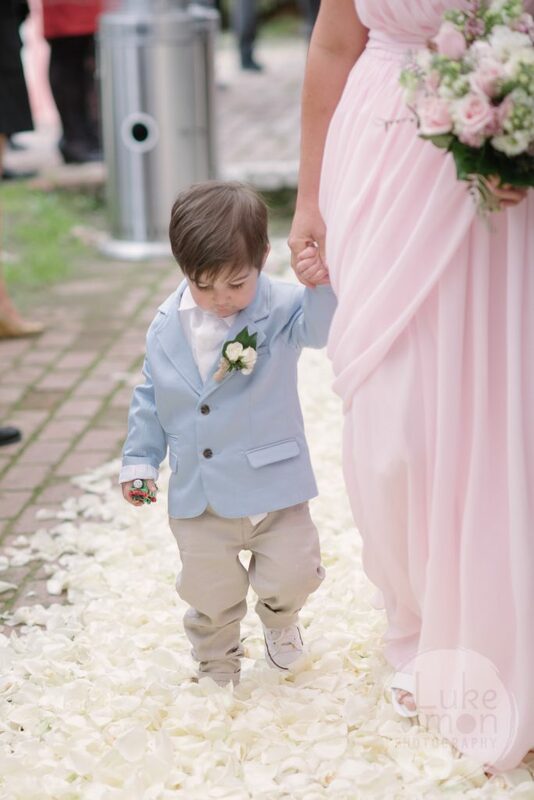 He wore a petite spray rose buttonhole and walked along an aisle of fresh rose petals. The guests table centrepieces were a GARDEN style with the glass vases wrapped in hessian. Table number spikes were also placed within the arrangements for guests to find their table. 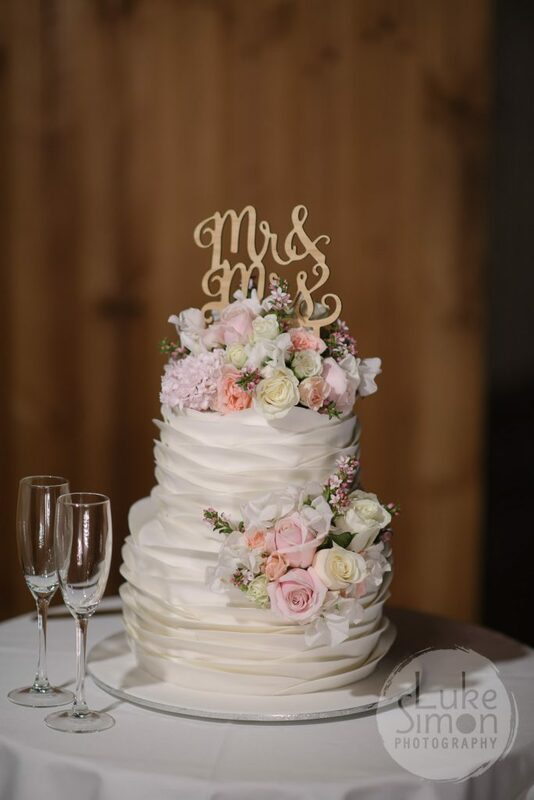 The beautiful cake was adorned with matching seasonal blooms. I love the textured layers to this cake, it looks too good to eat!